Cristiano Ronaldo and Champions League nights seem to have some special kind of bonding as the Portuguese superstar never fails to amaze us with his performances as we have seen throughout the years. 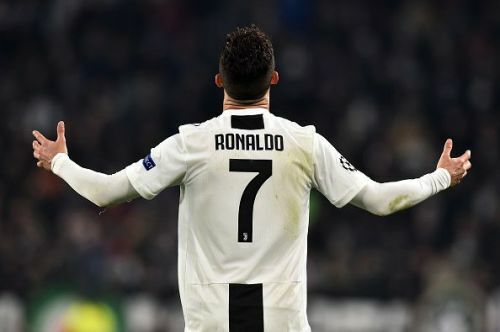 Time after time, we have seen Ronaldo almost single-handedly take away the ties from the opposition and has also saved his team from the jaws of elimination in the competition. It seems that when you have Cristiano in your team, you are never truly out until the last minute. Today we take a look at some of his best performances in the knockout stages of the UCL and try to rank them amongst his best. Real Madrid were pitted against Atletico Madrid for the third time in 4 years in 2017, the previous two being in the UCL finals of 2014 and 2016 which Real had won. Atletico were hungry for revenge for the previous two defeats at the hands of their neighbors, but Ronaldo had different plans that night. Real went ahead in the 10th-minute through Ronaldo who headed in Casemiro's cross by reacting first. Both teams then had even chances throughout the first half but the score remained 1-0 at the end. Then in the 73rd minute of the second half, Ronaldo volleyed the ball on the bounce which flew past Oblak courtesy of a deflection from Savic. In the 86th minute, the Portuguese stepped up again and virtually put the tie past Atletico's hands when he converted a decent chance, thanks to the hard work from Lucas Vazquez who kept the ball in before passing on to Ronaldo for his hat-trick.